About as soon as I was asked if I could implement a “brain app” for smartphones, I decided it wasn’t a very practical idea — not enough space on the phone’s screen to let you see everything at a glance and data entry with a touchpad keyboard would be so much more awkward than using a pen on paper. Tablets may eventually change my mind but, frankly, I’m guessing this is one area where the low-tech solution is going to beat out the high-tech solution for a long, long time to come. Just think about privacy — a piece of paper you shred yourself is likely to give you more confidence you’re doing the right thing than an app’s promise “not to remember” anything it shouldn’t. 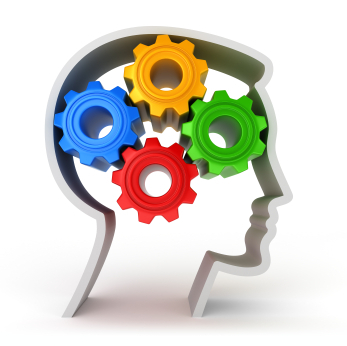 I have thought, though, it would be useful to collect and make available copies of some sample brains; why should everyone have to re-invent these particular wheels? The topic came up again a week or two ago and I was surprised by how hard it still is to find examples on the web. They are there, but not easy to find with a simple google search. So, as a start, rather than trying to collect the samples myself, I’m going to present links to some collections I’ve found. BUT, if you’re looking for something special you can’t find or you’ve got an example of your own you are proud of, please either leave a comment or email me at agunn@sherprog.com with the word ‘brains’ in the subject line and we can make this list better over time. Note: that last link contains a link to an online product called PocketMod that a) I have no business connection with and b) don’t know anything about. It sounds interesting and I’d love to get some feedback on it. Below that part of the discussion there are links to samples for brain, report, and change-of-shift sheets. 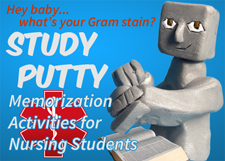 Study Putty wants to know what you need to study. Request content and we’ll try to give it to you!